Kaileigh Callender (left) and Marshall Gillson looked at “Life is beautiful that way,” a piece by Jess de Wahls, at the opening night of the Feminist Fiber Art Exhibition in Cambridge earlier this month. Given the connection between healthy economic development and a robust arts scene, imagine if the Commonwealth made cultural grants targeted to communities primed for growth? 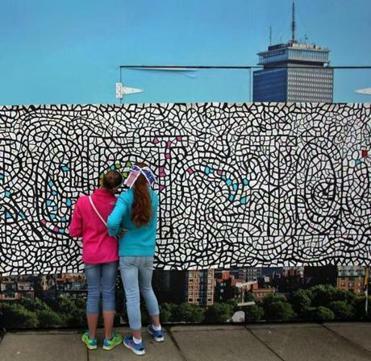 Good news: Thanks to the recently approved $2 million increase in funding for the Massachusetts Cultural Council, the state is doing just that. “Creative Economy” grants will be distributed over the next year to cultural districts around Massachusetts. 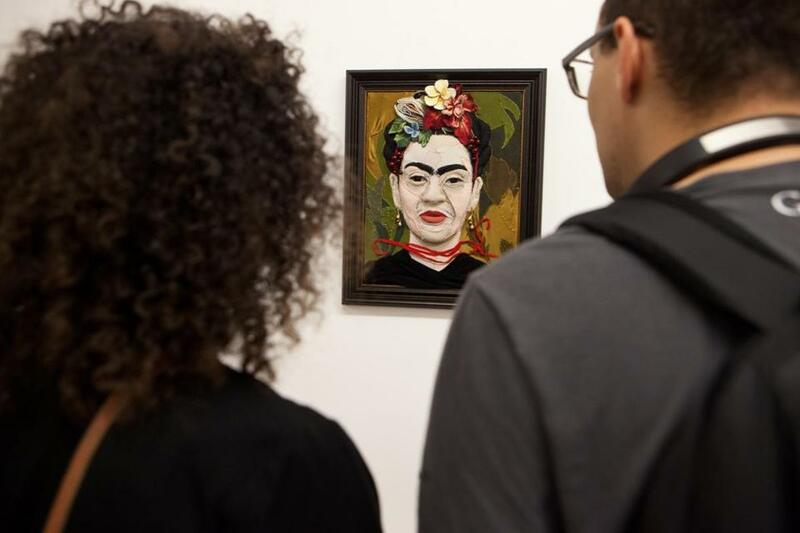 Other grant programs, including one aimed at expanding access to the arts for students, will also grow, thanks to a 20 percent increase in funding. This puts Massachusetts in the vanguard of states around the country who are bolstering the budgets of state arts agencies. Twenty-seven state arts councils are heading into fiscal year 2016 with more money to invest in local artists and organizations than what they had last year; 15 of them, including the Massachusetts Cultural Council, will be working with increases of at least 10 percent. Not so long ago, in response to the recession, many states, including Massachusetts, slashed public funding for the arts. The penny-wise, pound-foolishness of these cuts quickly became obvious. Municipal leaders who want to build communities that support local businesses, attract new residents, and nurture a spirit of civic engagement govern with artists and cultural leaders in mind. Providing a well-rounded education requires inclusion of the arts. Fostering creativity is a linchpin to building a talented workforce, and a vibrant arts scene helps businesses, both large and small, attract workers. Meanwhile, the value of arts and culture to economic development is a given in policy circles. Nationally, arts and culture account for 3.2 percent―or $504 billion―of the nation’s gross domestic product. (For context, travel and tourism accounts for just 2.8 of GDP.) Here in Massachusetts, nonprofit arts and cultural organizations support more than 45,000 jobs and generate $2.5 billion of economic activity. It makes little sense to weaken the very agencies that can amplify this positive impact, and that is one reason why we are seeing renewed investment in state arts agencies across the nation. While Governor Charlie Baker initially vetoed the increase in funding (lawmakers overrode it), there is much he can do to lead on this issue, and none of it will cost a dime. A report by the National Governors Association, “Arts & the Economy,” which was written to provide governors with tips on how to leverage the most from their local arts and cultural sectors, highlights the value of incorporating the arts community into the highest levels of statewide economic policy planning. Now is the time to embrace a more inclusive definition of the arts. Most states, including Massachusetts, employ an ad hoc approach to cultural economic initiatives. But the value of deliberate planning designed to maximize the impact of the arts on our local economies, particularly in the downtowns of our Gateway Cities, cannot be overstated. What would this look like? Including cultural leaders in the policy planning conversations taking place across the administration. Convening a summit to generate awareness of the value of the arts sector. Implementing the best ideas generated at the summit. We are seeing this approach play out to great effect in the city of Boston. Baker can do the same for Massachusetts. Matt Wilson is executive director of MASSCreative.